The GoughNuts Ball is not a chew toy but instead is an interactive toy. 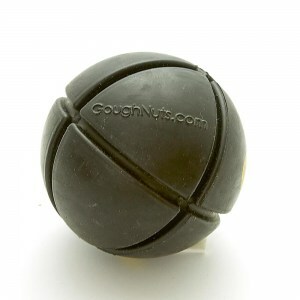 Yes the Ball is tough and we have made the first GoughNuts Ball in the strongest Black recipe. The Black is stronger and more durable than the Green. 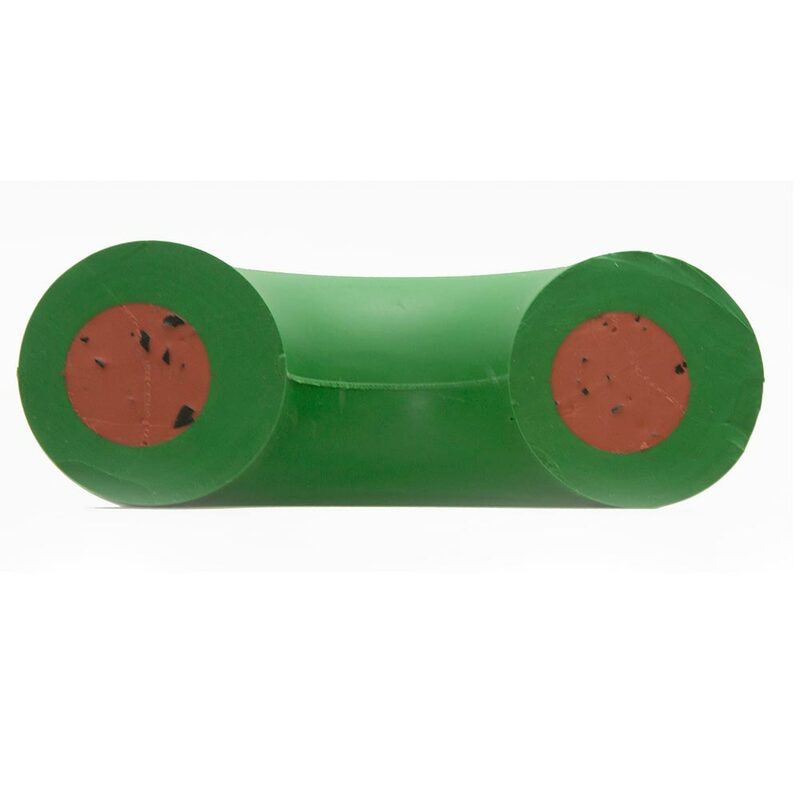 The GoughNuts Black incorporates the original GoughNuts green but then adds carbon technology to enhance strength. 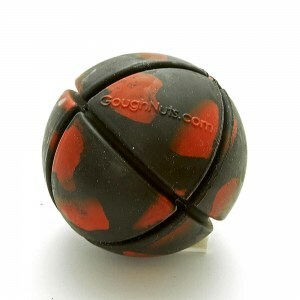 The GoughNuts Ball Black is guaranteed, as are all of the GoughNuts line of chew toys. In addition to the GoughNuts two layered safety technology included in every GoughNuts toy, where 'red means stop! 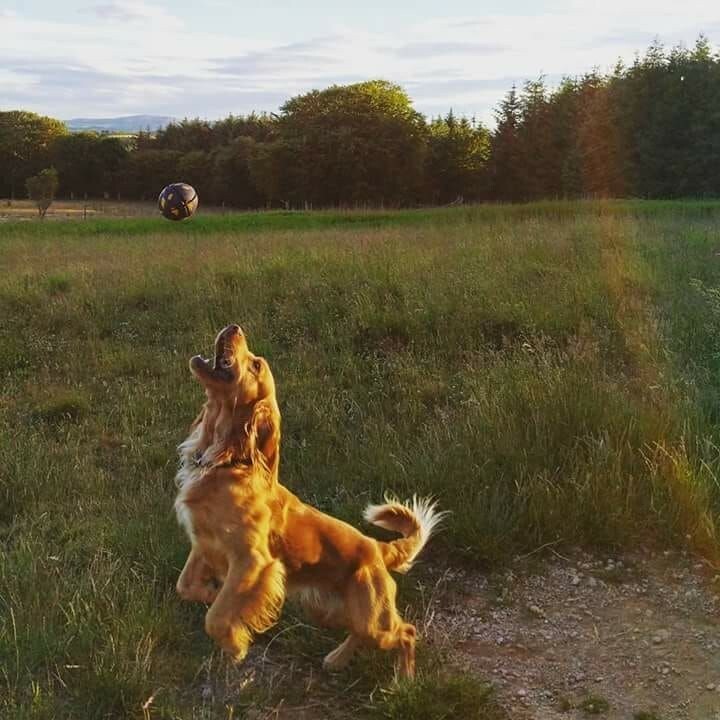 ', the Ball is designed with a multi-axis groove system that may help the dog breathe in an emergency situation of throat Blockage. Spherical objects or balls can be a safety hazard for the reason of throat blockage. The GoughNuts Ball bounces well, floats, and we hope is a toy the dog will enjoy playing with. 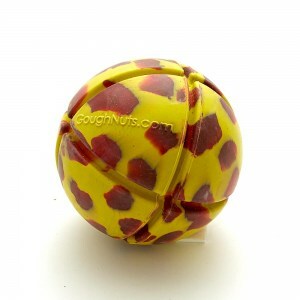 This is the first interactive toy, as the GoughNuts Ball is not designed as a chew toy. If the dog is left to chew it will attack the grooves and if you have a power chewer it will destroy GoughNuts Ball. Please stop at the red. We will replace the toy as described in our guarantee section however please realize that the Original GoughNut ring design remains the most durable chew toy.